This Coptic typeface designed for scientific publishing, particularly for the French Institute of Oriental Archaeology's publishing house, has been made during two stays of three months in Cairo. It was mainly adapted from the Coptic metal type of the IFAO and the Imprimerie nationale (engraved in 1874 for the Imprimerie nationale by Mr. Aubert under the direction of Eugène Revillout). It was about creating a pure classical uncial shape. 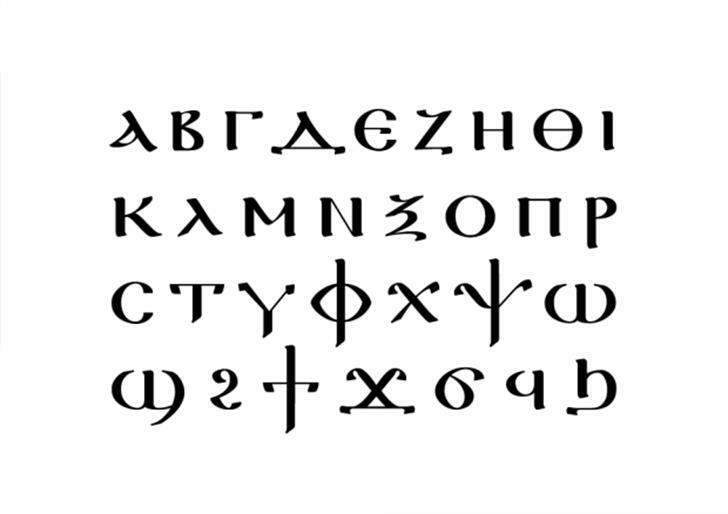 The Coptic writing comes from the meeting of two writing systems and two cultures, Egyptian and Greek. It takes a large part of its signs from the Greek writing system, 24 of the 31 basic signs compose it ; 7 others come from Demotic, the preceding writing system used in Egypt. Based on Unicode, Mac and PC compatible, this typeface is available through downloading from the IFAO website and can be freely redistributed. All of the 809 signs have been entirely drawn for this project with the help of Coptic specialists, and it makes Ifao N Copte probably the most complete existing Coptic typeface. None of the letters work? Copyright (c) 2006 by IFAO & Jonathan Perez. All rights reserved. Copyright (c) 2007 by IFAO & Jonathan Perez. All rights reserved.